DC Super Powers was a toy line based on the popular Super Friends cartoon. There were numerous action figures, vehicles, and more based on the series and naturally comic books were made to tie in with it as well. 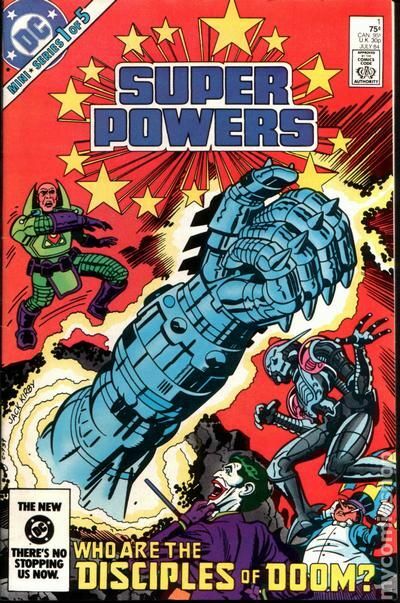 There were three mini-series to go witht eh Super Powers toy line and this is the first issue of volume 1 with a cover by the king Jack Kirby. He also did plot outlines for the entire series and interiors for all of issue 5. There is no other artist in the world like Jack Kirby and it shows with the fun covers he did for this mini series.